There are a wealth of fun things to do at your local pumpkin farm or apple orchard this fall, and wagon rides are some of the best. Allowing you to sit back and enjoy the sights, this is possibly the most relaxing thing you’ll do all month. Most of these farms only offer these rides and other activities through Halloween weekend (October 28, 2018), so be sure to check out a few ASAP. Scroll on for more details. This family-owned farm comes to life each fall with a wealth of different activities. 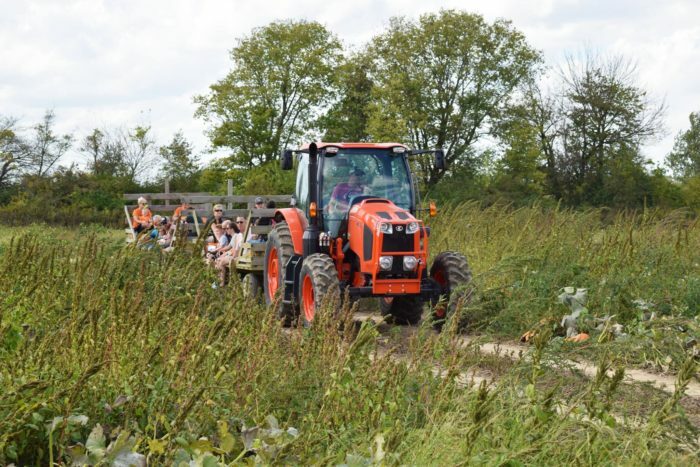 Enjoy a scenic trip out to the pumpkin patch to pick your own gourd on the farm's tractor-pulled wagon. There are also corn mazes, a petting zoo, mini golf, a train ride, tractor rides, inflatables, two country stores, and so much more. Find all the fun at 12290 E 191st St., Noblesville, IN 46060. This 73-acre farm is best known for its firs at Christmastime, but it is also a fabulous place to find yourself during autumn. 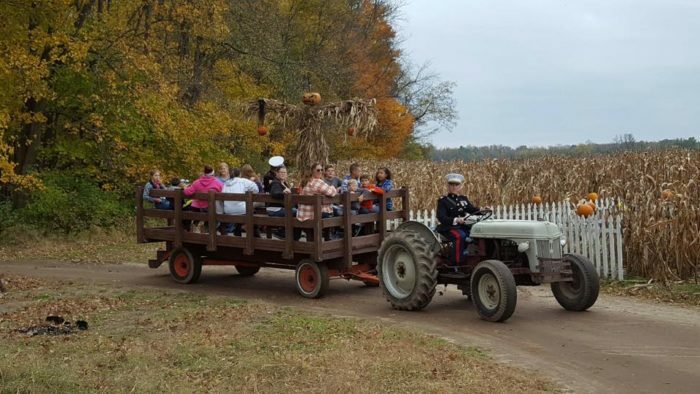 In addition a hayride that pulls you throughout the farm, there is also an eight-acre corn maze to enjoy as well as haunted attractions like a creepy trail and haunted hayride. This underrated farm will make your fall unforgettable. 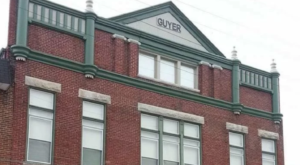 Find it at 1115 E 1000 N, Fortville, IN 46040. 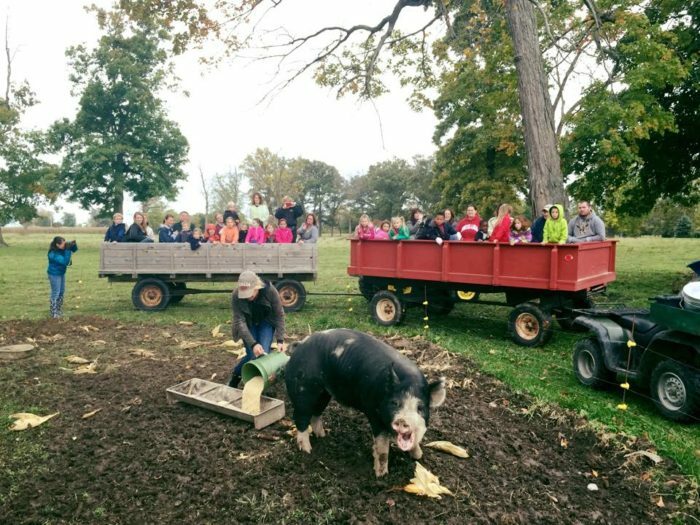 The tractor-pulled wagon rides at this fall farm are just the tip of the iceberg when it comes to all the fun activities available here. Many stop by for the apples and cider as well as to find pumpkins and get lost in the corn maze. Stop by 2304 E Main St., Danville, IN 46122 to check it out. 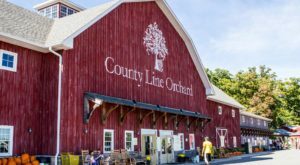 Best known for its apple cider donuts, this farm offers a whole bunch of fun fall activities for young and old alike. 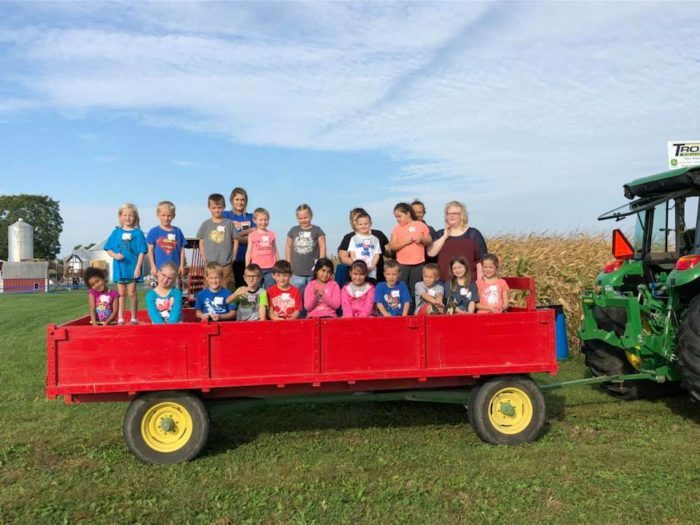 In addition to wagon rides, guests can pick their own apples and pumpkins, explore a 10-acre corn maze, see barnyard animals, ride a train, and much more. Learn more about this exciting place from previous coverage here. This gorgeous farm is an oasis of fun and excitement for kids of all ages. 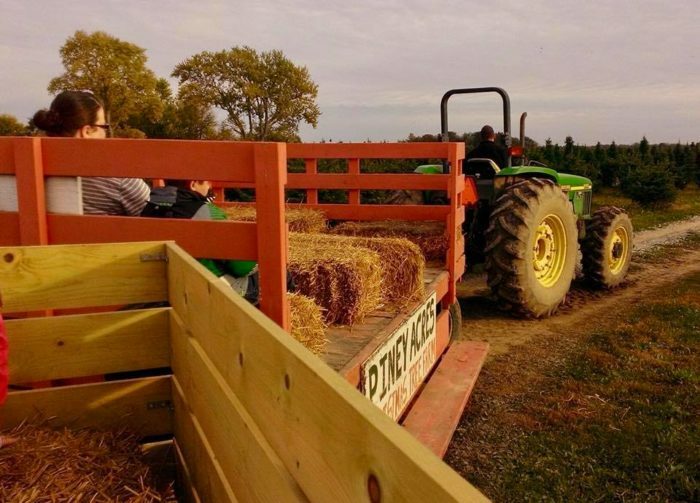 In addition to a scenic hayride that lets you explore the farm, there is also a corn maze, duck races, giant jumping pillows, a train, pedal cars, animals, and much more. Shoot the corn canon, try a crossbow, or ride a pony at this awesome place. 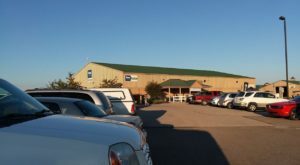 It is located at 61391 Mayflower Rd., South Bend, IN 46614. Attractions at this farm will keep you entertained all day long. 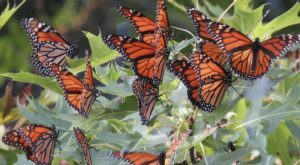 You'll find all the typical activities like a corn maze, a petting zoo, inflatables, and a pumpkin patch. This popular place is a must-visit if you have never been before. Learn more about it from previous coverage here. 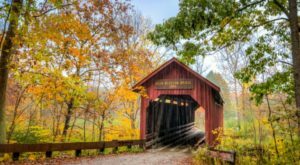 Known for having one the largest pumpkin patches in Indiana, this place offers an assortment of wonderful fall-themed activities to enjoy. 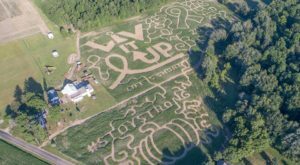 There's an 11-acre corn maze, a straw mountain, inflatables, giant slides, duck races, and much more. One of the best wagon rides in the state, this one lasts about 15 minutes and takes guests past about 20 acres of trees, flowers, and wildlife. Learn more about it here. 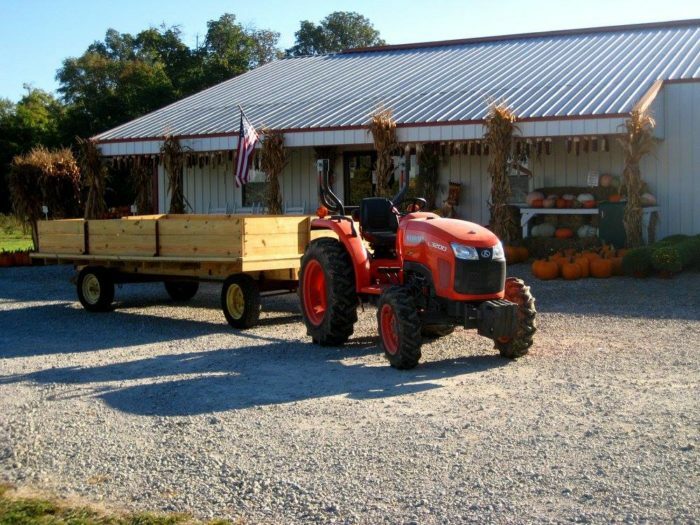 Wagon rides at this farm take guests out to the pumpkin patch where they can pick their own big orange globes to carve or otherwise decorate. 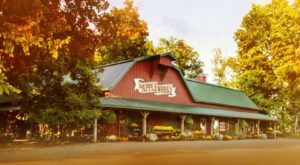 The main attraction to this place is the 40-acre apple orchard and all the goodies that come from it. In addition to fresh-picked apples, guests will also find apple butter, apple cider slush, and caramel apples. Get yourself to 10721 N 850 W, Fairland, IN 46126 for all the fun. All the fall fun you can imagine is found at this incredible farm. 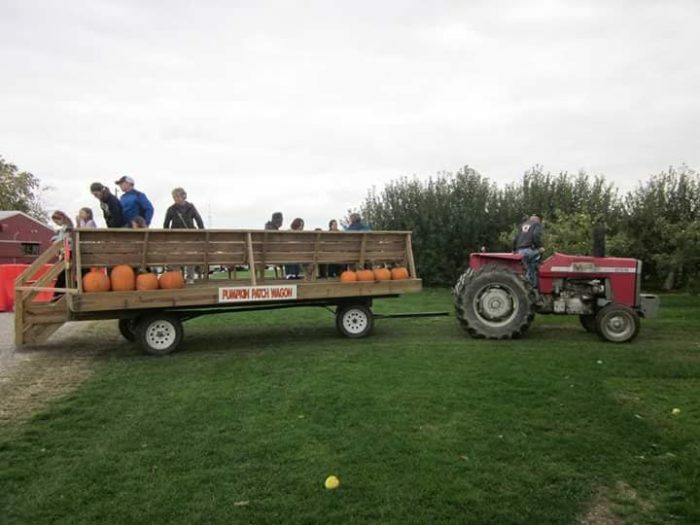 In addition to tractor-pulled wagons, there is also a barrel train ride as well as farm animals, a unique corn maze, play zones, a pumpkin patch, a market, and concessions. It is located at 5525 W 300 N, Decatur, IN 46733, and you won't want to miss it. 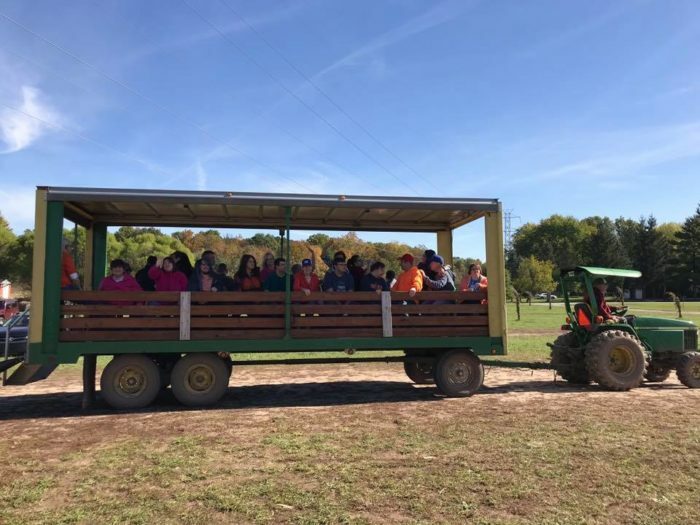 The free hayrides offered here go through the woods and out to the farm's pumpkin patch, offering lovely views of the countryside, forest, and farmland. Stop by the sweet shop for the best goodies in the area like pies, fudge, ice cream, and other seasonal treats. 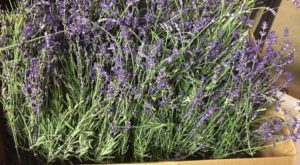 Find it at 6945, 7177 E 161st St., Noblesville, IN 46062. For more fall fun, check out the seven best places to get apple cider and donuts in Illinois. 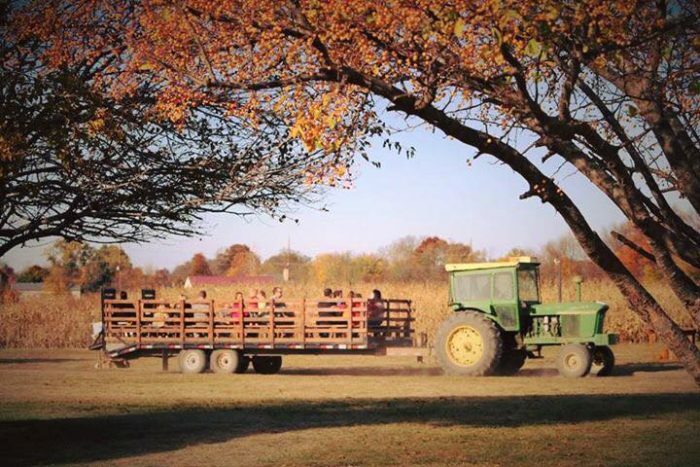 What other places in the Hoosier State have the best wagon rides? 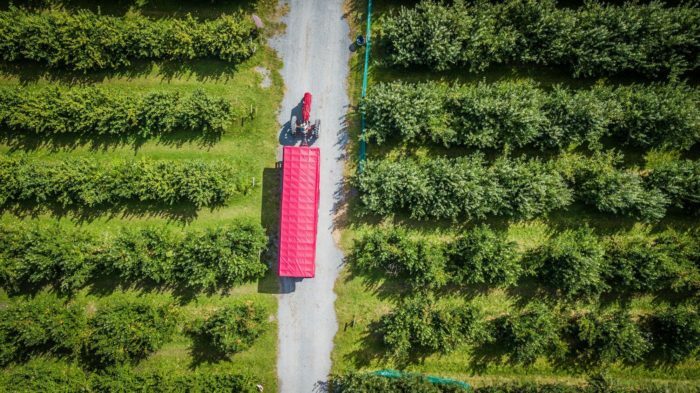 Share your favorite farms and orchards with us below in the comments.